Although much of the press for immuno-oncology (IO) has focused on checkpoint inhibitors, researchers are exploring many other types of IO therapeutics. Other types of IO therapies under development include bi-specific antibodies, CAR-T cells, and cancer vaccines. 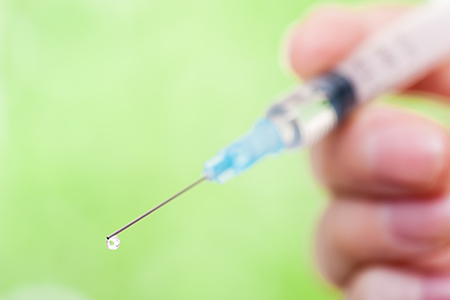 Researchers at Shionogi and Osaka University recently published a paper1 describing identification of a new tumor antigen with the potential for targeting via a cancer vaccine. Previous research showed that PSF1 is expressed in both immature cells as well as cancer stem cells. In this study, Yoshida et al. identified the peptide epitope PSF179-87 both by in silico methods as well as via an experimental approach using mass spectrometry identification of HLA-A2.1-presented PSF1 peptides in a cell culture system. The identified epitope elicited PSF1-specific CD8+ T cell responses in vivo in HLA-A2.1 transgenic mice from Taconic Biosciences. Finally, PSF1 epitope-restricted cytotoxic T lymphocytes (CTLs) were generated from human peripheral blood mononuclear cells (PBMCs) from healthy HLA-A2.1+ donors. These human CTLs demonstrated cytotoxic activity against epitope-pulsed target cells, demonstrating potential utility in the clinic. Transgenic human HLA mice represent important tools in confirming in vivo immunogenicity of T cell epitopes identified using in silico or in vitro methods. Taconic's portfolio of six different class I HLA transgenics offers coverage for>99% of the world's population. While the original applications for these research tools focused primarily on vaccine development for infectious diseases, a significant increase in use of transgenic HLA mice for cancer immunotherapy applications has been seen. 1. Yoshida, M.; Ishioka, Y.; Ozawa, T.; Okuyama, H.; Iguchi, M.; Ota, T.; Ito, T.; Nagira, M.; Morita, A.; Tanaka, H.; Naito, H.; Kidoya, H.; Takakura, N. Scientific Reports 2017, 7, 11137.